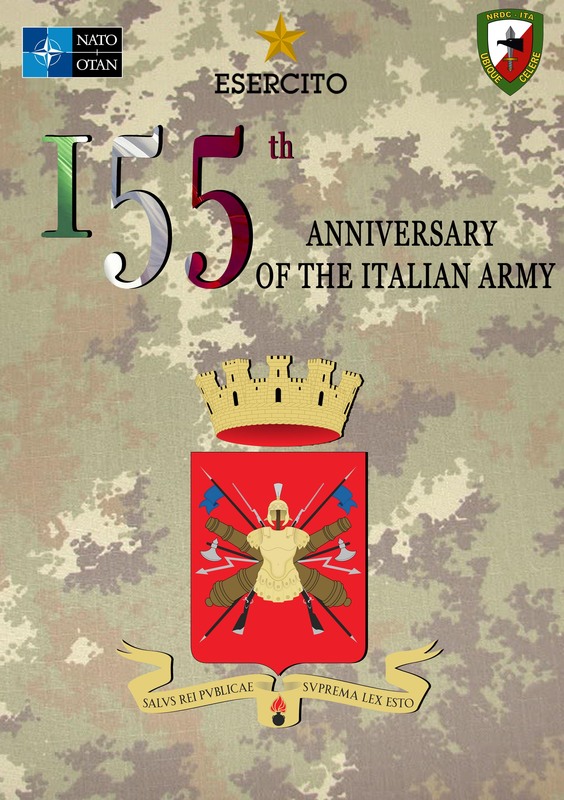 Today 4th May, at “Ugo Mara” Barracks, Lieutenant General Riccardo Marchiò celebrated, together with NRDC-ITA staff, the 155th anniversary of the Italian Army. This morning, during the Italian flag raising ceremony, General Marchiò said that “Italian Army Women and Men put daily effort into several activities, from abroad Missions to Security Assistance to Italian police, the so called Operation “Strade Sicure” (“Safe Roads”), or assisting the civilian population after natural disasters”. In fact, 40 years ago an earthquake shocks North-East of Italy, and “Army contribution to reconstruction represented one of the brightest examples on service of damaged community”, said Sergio Mattarella, Italian Republic President. Italian Army is also everyday involved in disabling explosive devices remnants from the past wars. But today also new lymph to Italian Army and NRDC-ITA: 25 soldiers took oath in front of NRDC-ITA Support Regiment Commander, men and women that will serve in Italy and abroad protecting international security, supporting social and economic development and encouraging peaceful coexistence among people.